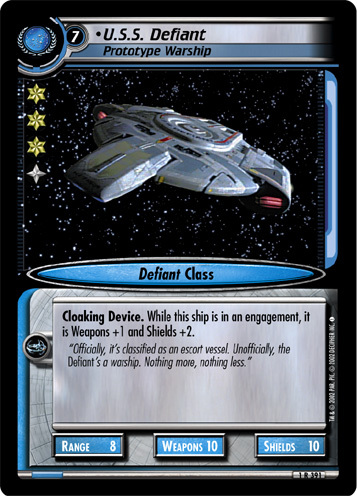 Cloaking Device. 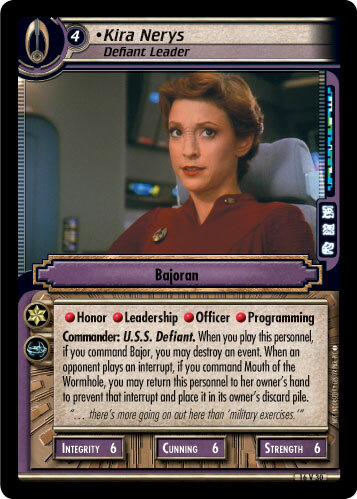 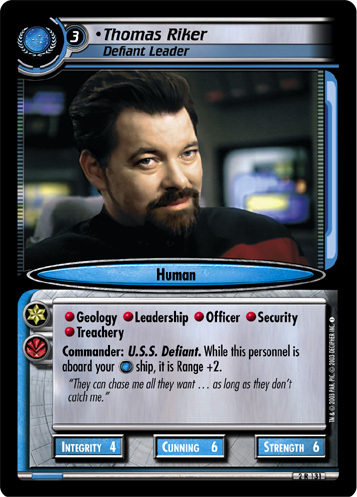 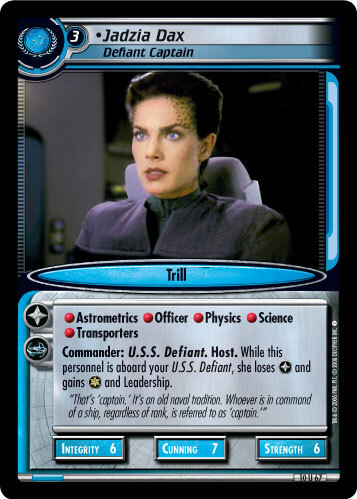 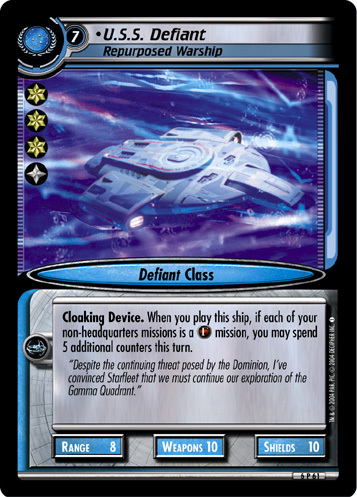 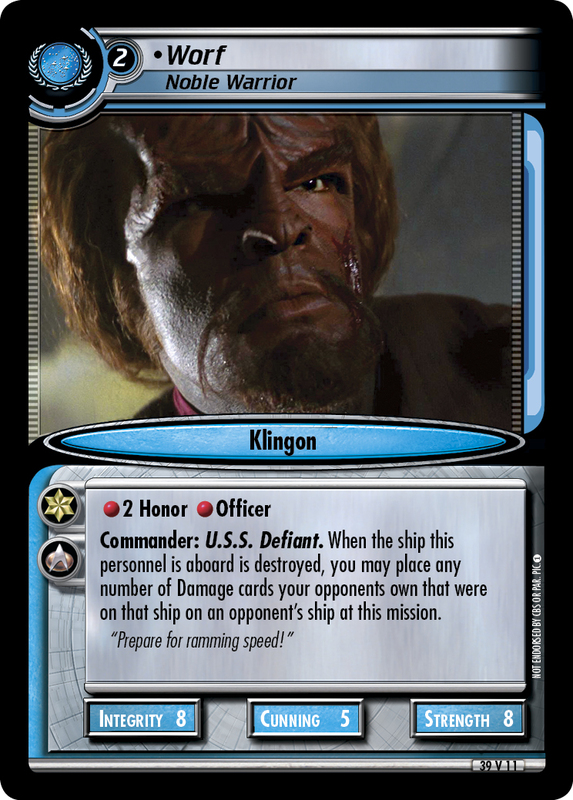 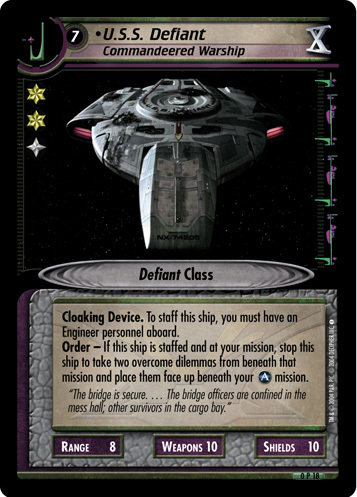 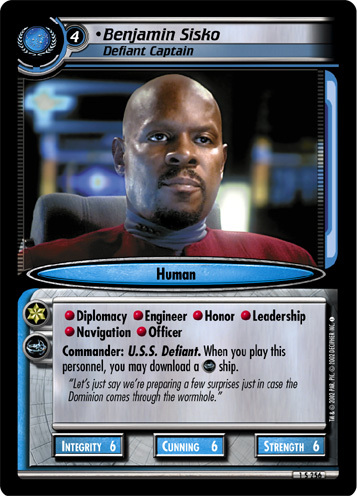 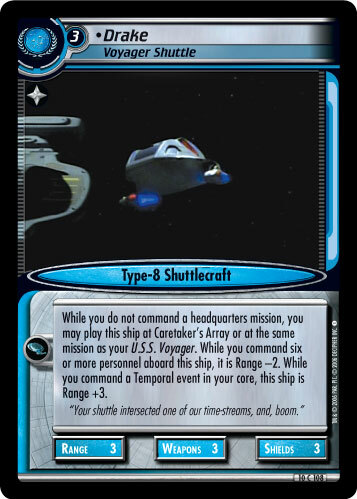 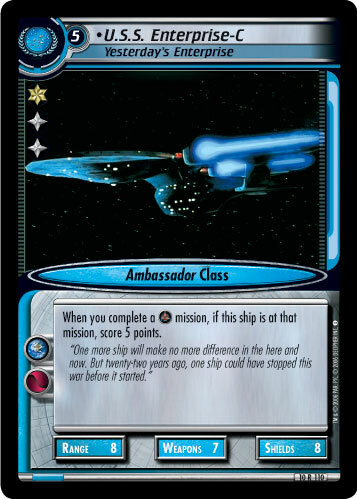 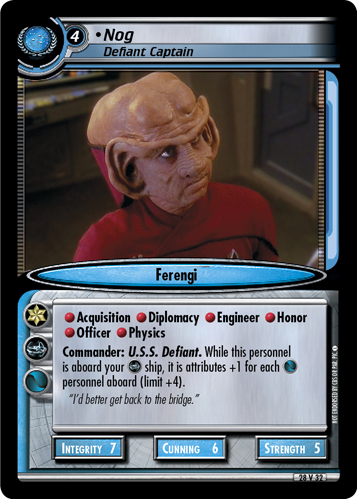 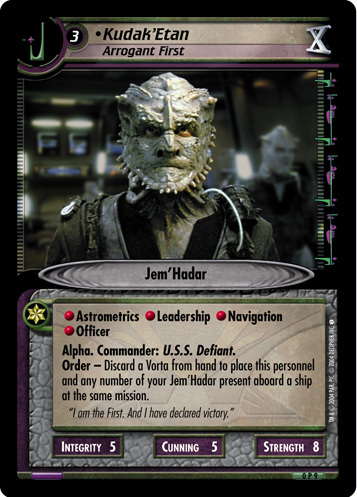 When an opponent's ship moves to this mission, if this ship's Commander is aboard it, that opponent's ship is stopped. 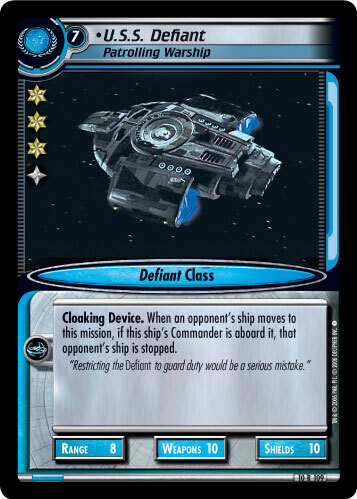 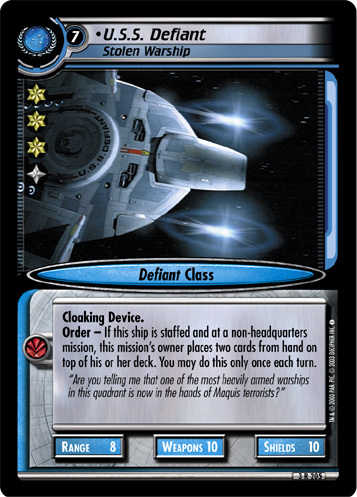 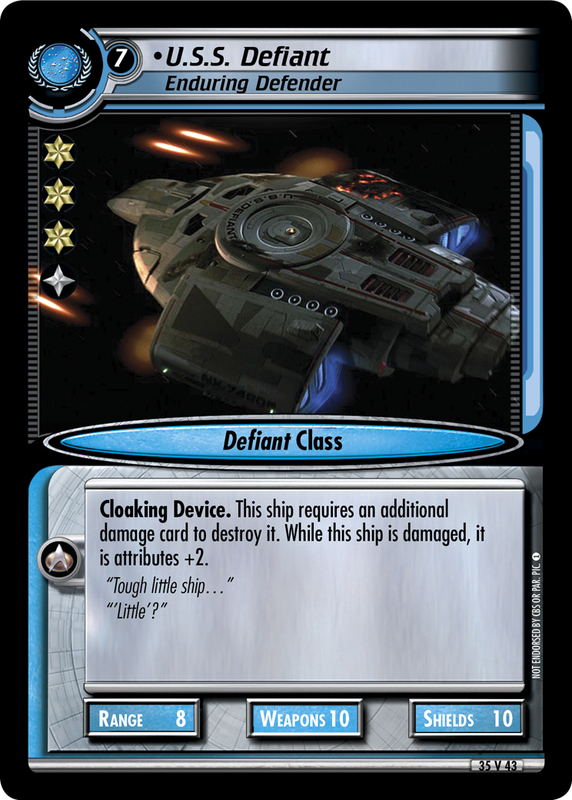 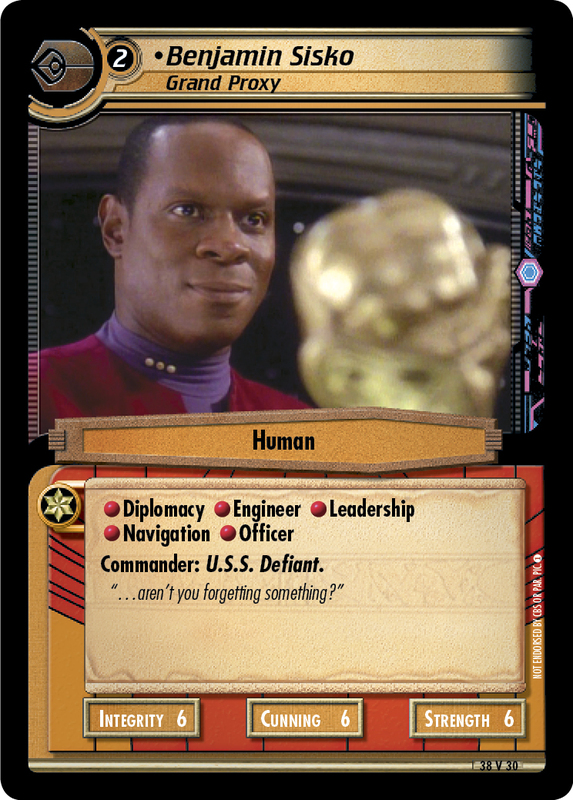 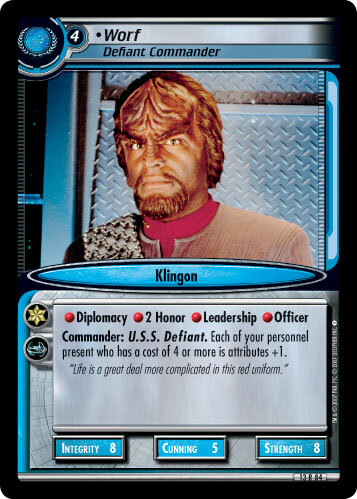 "Restricting the Defiant to guard duty would be a serious mistake."